Independently set your Mic and Line levels on each channel. Flips channel input to the monitor section. Allows you to choose metering from the Direct Out or Monitor Return. 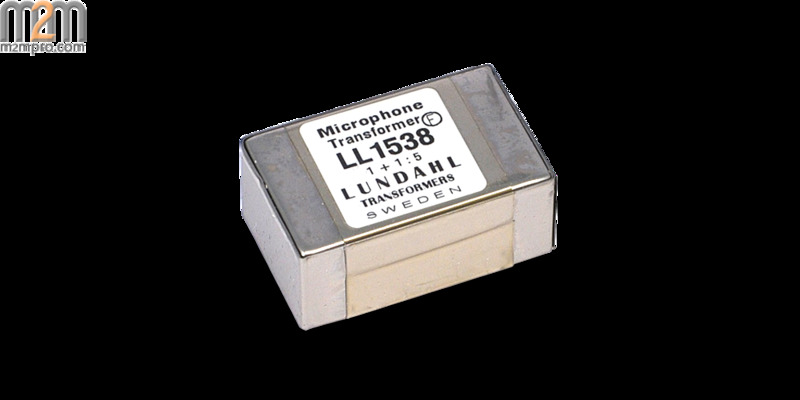 A fully discrete Class A design mic pre with the option to add a Lundhal transformer to as many channels as you like. In addition the preamp has a full bypass post fader insert point that allows you to easily incorporate any external preamp from your collection or 500 Series rack. 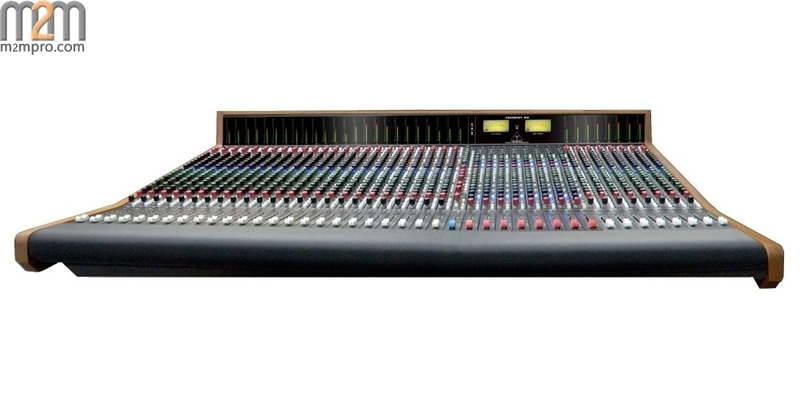 A 4 band fully sweepable Trident EQ is at the core of this console. Every channel not only has a full EQ but also a Tilt EQ on the Monitor section. In addition there is the ability to switch the full EQ from the Input path to the Monitor path. 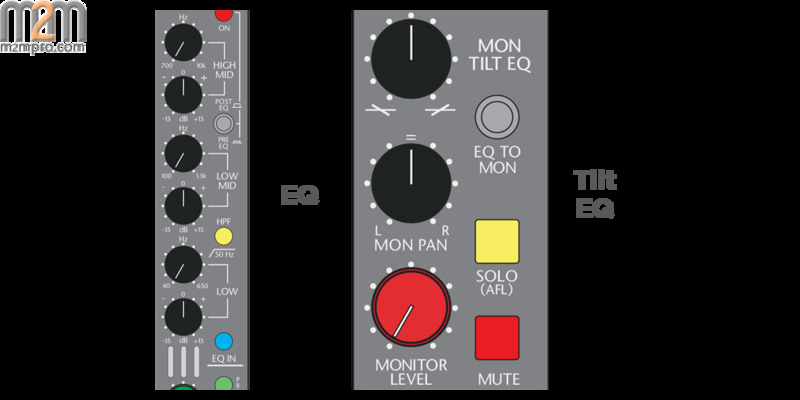 Furthermore the EQ has its own independent Insert. Like the preamp you can also insert to the EQ path and either bypass the EQ for any other outboard EQ or use them in conjunction with each other. The master section features 8 AUX Masters each with Solo. AFL/PFL Master with level adjustment. 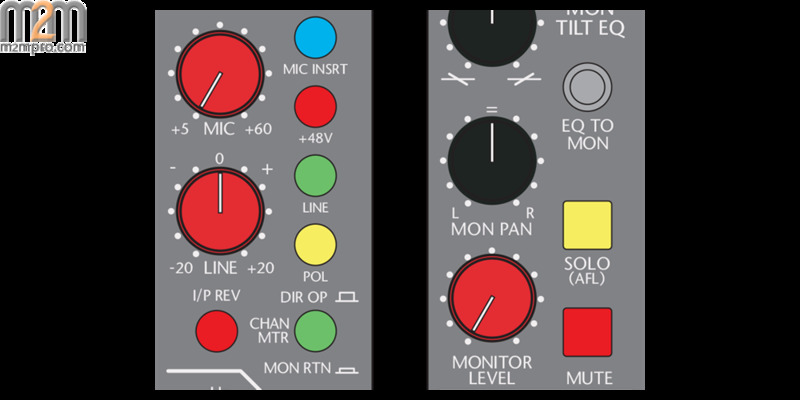 In addition to the main speaker outputs there are also 2 separate ALT Monitors, each with level control and on/off switches. Easy studio playback through Mono Auxes 1&2, as well as stereo over Aux 7/8. The Monitor section allows the return of 2 separate stereo signals direct into the master section with level and mute. Or plug your portable device directly into the panel with a top mounted 1/8th inch TRS input. Through Talkback control you can talkback to the Auxes in pairs, or the groups, or to the studio. Either through the onboard talkback mic or an external mic. The Trident 88 is a split in-line console. This means you can switch the inputs on each channel providing an easy workflow when tracking and mixing. On top of that, all the of the Monitor inputs have their own Tilt EQ. This means you have 2 separate inputs per channel, both with versatile EQ. 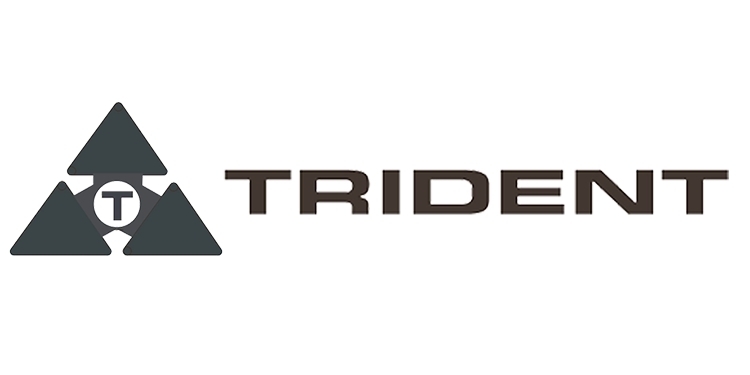 The Trident 88 features 8 Aux sends all with pre or post fade selection, accessible on every channel. AUX 1/2 and 7/8 can be sent to the Monitor section. AUX 5/6 & 7/8 are both stereo with pan control for each. The free onlinediv table generator allows you to create nice grids for your websites. Please subsribe for a htmlg membership to stop adding promotional messages to the edited documents. Mic Input to Mix Output <+0, -0.3dB 20Hz to 80KHz @ 6-40 dB gain. Line Input to Mix Output <0, -0.3dB 20Hz to 60KHz @ 0 dB gain. 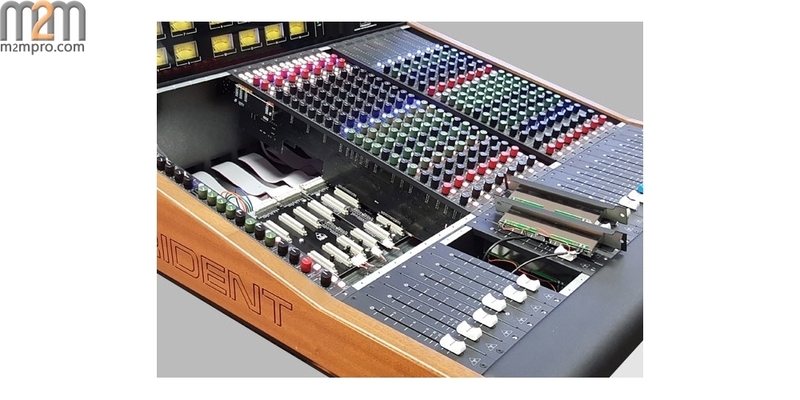 The Trident 88 is a classically styled, in-line, eight-buss analog console and an advancement in lineage of the revered Series 80 mixing desks. Designed with manufacturability in mind, the 88 is artfully constructed for ease of use and workhorse reliability. Available in stock configurations of 8, 16, 24, 32 and 40 channels, the model 88 is sized to fit the modern, high end facility – whether private, institutional, or professional. Along with the pleasingly familiar routing and feel of a classic Trident desk, are modern refinements that serve to improve functionality, workflow and performance specifications. 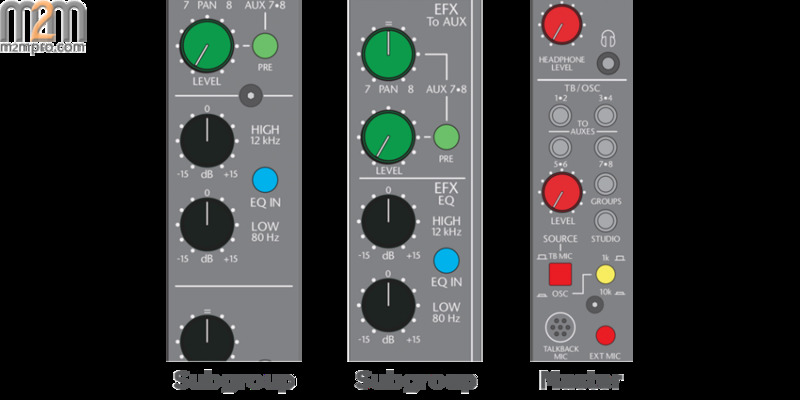 For example, integration with outboard processors and mic pre’s, such as 500 format, is provided simply and elegantly by means of an exclusive, switchable input, which bypasses the channel preamp circuitry and allows for insertion of external signal sources directly to the channel equalizer. Being a Trident, the equalization is of course, wonderful and on the 88 – it is also plentiful, on the channel, monitor, effects returns and group sections. In the area of customizability, the 88 has options for vu metering, transformer I/O, automation, short loading and channel configurations exceeding forty inputs. Features found throughout the 88 make for a straightforward and powerful package, but paramount to all else is The Sound. Among the many styles, preferences and methods of recording exists the expectation that a board must have the ability to be pushed hard and sound big. This is a hallmark of the series 80 consoles and the 88 carries that tradition forward. Bottom line: The Trident 88 was created with all of this in mind so that you can use it to make great sounding tracks. Designed with manufacturability in mind. The Trident 88 was made from the ground up to be a rugged and reliable console. We went to great lengths to make sure that the 88’s are easy to build and equally easy to maintain. The 88 is designed so that the entire console can be serviced with a single screw driver. Motherboards are shock-mounted with rubber standoffs to isolate them from the chassis and provide additional protection from structure born stresses. A channel can be swapped in matter of minutes and the console will continue to function if one or more channels are removed. • Faders, channels, groups, and master section are individually removable. • All rear connections are also removable. Having a Split/Inline console effectively will double your inputs to your stereo buss. 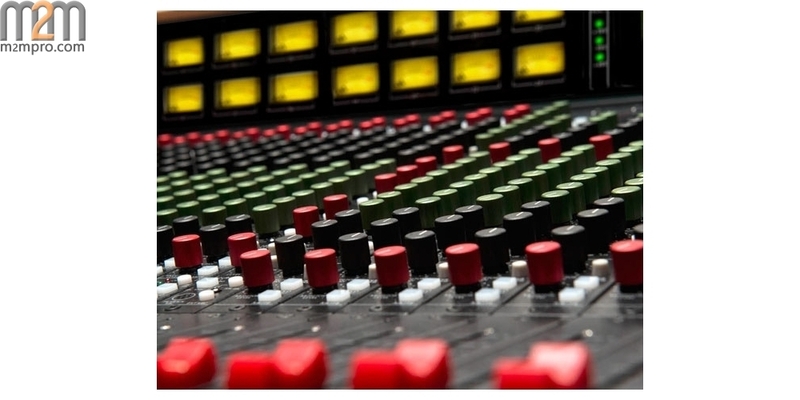 This has become more and more a common configuration for recording consoles in today’s market. We took it a step further and add an EQ to the monitor path that can also be swapped with the main channel EQ. 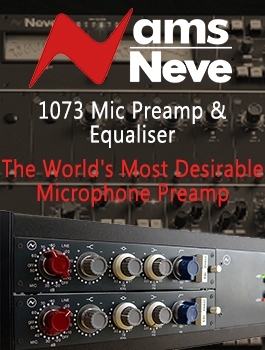 • Four band, sweepable channel EQ, isswitchable with monitor Tilt EQ. Incorporating a Discrete Class A preamp to the 88’s is a departure from previous Trident console preamps in the 80 Series. This give’s the 88’s a higher quality stock preamp from the start and also incorporates the option to add a Lundahl transformer to any channel desired. Expanding the great success of 80 Series recording consoles is only logical. Taking the highly regarded 80B EQ and improving on it with the 80C EQ was a great step forward for its time. The 80C EQ took all of the great sound of the 80B and gave it even more control. Keeping the 80C EQ as the brawn of the 88’s was decision that required no second thought. • 4 Sweepable bands boost/cut to +/-15dB. 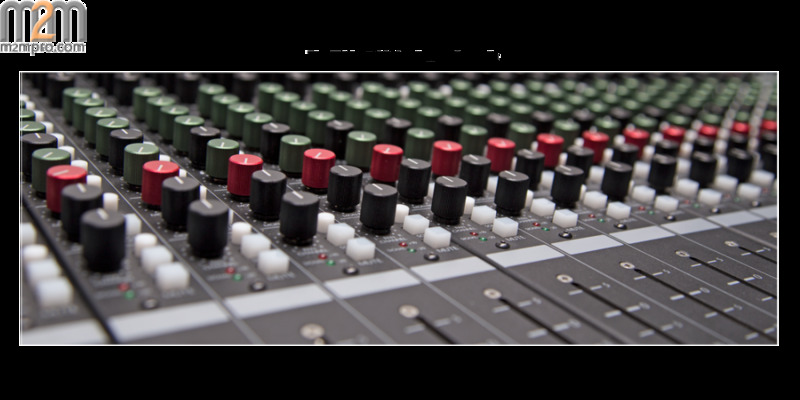 Keeping control of your workflow with ease and speed is the core function of an analog recording console. Your time spent setting up a mix and the ability to have tactile control with immediate effect over your work is essential and time saving. The 88’s are designed to give you maximum control and routing options all onboard at your fingertips. Making your creative process more effective and saving you time in the process.